The strips of sunlight shrink as dark spreads like black ink over the blotting paper slopes of the Sierra de Lújar. After sunset (officially around 7.15pm at the moment) there’s still a chill in the air. We put the littl’uns to bed each night; seedlings, that is. The huddled trays and pots form a plastic jigsaw in our cheap, also plastic, greenhouse that doubles-up as a sauna for the cats. 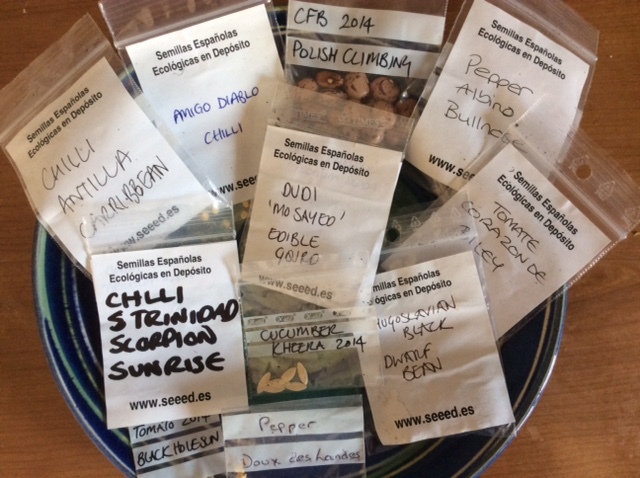 Situated in the semi-tropical Rio Guadalfeo valley in a corner of, what still is to us, a foreign field, there’s a simple and inspiring initiative; a seed exchange. Simply, as a ‘guardian’ you take away seeds that are carefully logged, plant them, stop cross-pollination on certain ones (thus maintaining the integrity of the original species), harvest the seeds later in the year and return to the seed bank. Rosie, who runs the project with others and is arguably the nicest person in Órgiva, helped us choose our seeds, plus a few plants. 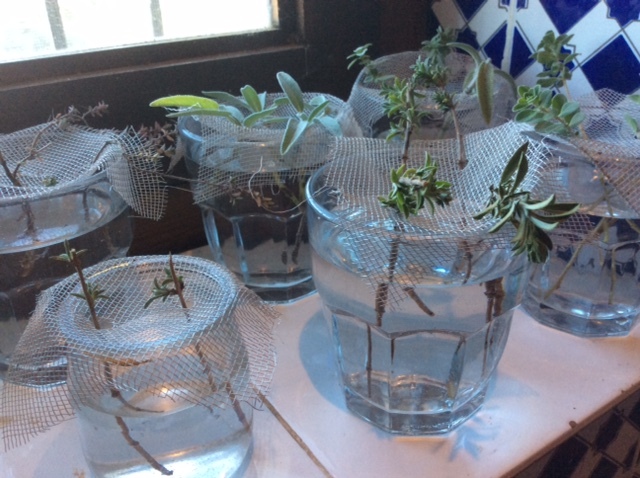 She explained what was needed and gave us some tulle (fine, lightweight netting) to cover the plants needing a careful eye. With months of sunny days ahead the challenge is on; we’ll report back later. 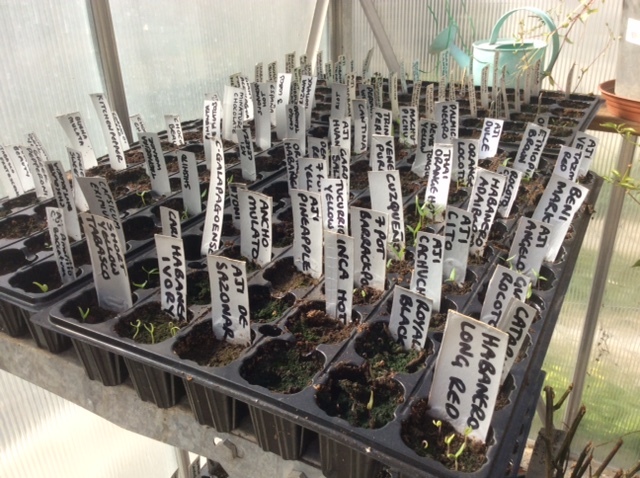 In the meantime, here are some pictures including herbs we are also propagating. 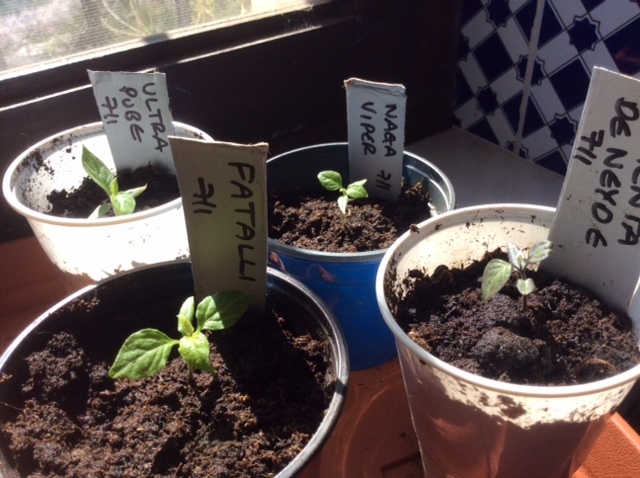 As well as tomato and pepper seeds, beans and so on, we have some bonkers things, including some of the hottest chillies in the world – like the Trinidad Scorpion Sunrise and Naga Viper (opens in new window). We’ll probably never try them but it will make us look ‘hard’ when people visit. You can find out more about SEEed on Rosie’s website. Finally, here’s a video of a family spending their Sunday, not at the boating lake, but each eating a Trinidad Scorpion chilli. The daughter disappears near the end. Perhaps she died or something.